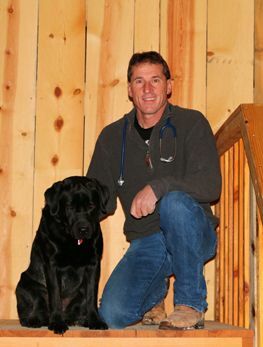 Dr. Alan Cuthbertson is a co-owner of Elko Veterinary Clinic. He is a third generation Veterinarian receiving his B.S. in Bio-Veterinary Medicine at Utah State University in 1984 and his D.V.M. from Ross University of St. Kitts, Caribbean in 1989. After graduation he came back to his home town of Elko to start practicing Veterinary Medicine with his father Dr. A.A. Cuthbertson who graduated from UC Davis School of Veterinary Medicine in 1953. Dr. Cuthbertson has special interests in soft tissue and orthopedic surgery as well as medical and trauma care for the small animal. He has obtained numerous continuous education credits and certificates in these fields. 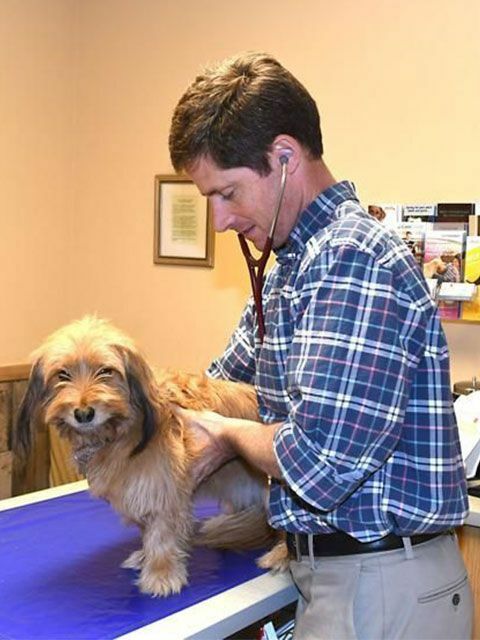 He is a member of the Nevada Veterinary Medical Association, the Association for Veterinary Orthopedic Research and Education and the Presbyterian Church. He received the 1999 and 2000 Sherman Award for the "Best of the Best Veterinarian" from the Chamber of Commerce. He was published in the 2000 edition of "Who's Who" and was selected as an honored member of the Heritage Registry of "Who's Who" in the 2006-2007 edition. Dr. Cuthbertson has a wife and two children. In their free time Alan and his family enjoy outdoor recreational activities such as hiking, camping, fishing, horseback riding, skiing and bike riding. Dr. Mike Perchetti received his Bachelor’s Degree in Veterinary Science from the University of Nevada, Reno where he served on the Student Advisory Council and was a member of the Aggie Club. He is a native Nevada resident and grew up in Tonopah Nevada. He also worked in the mining industry. In Veterinary Medical School he graduated with honors in Large Animal Surgery from Ohio State University. He is very grateful for the education, practical experience, and knowledge he gained while at Ohio State. He served as the president of the Food Animal Club and was a member of the Student Chapter of the American Veterinary Medical Association, Colic Team, and Dystocia Team. He was active in intramural sports and worked in the Equine Intensive Care Unit. Currently, Dr. Perchetti is the co-owner of Elko Veterinary Clinic and enjoys small animal primary care, internal medicine, emergency medicine, dentistry, orthopedics and soft tissue surgery. He is a member of the AVMA, AAEP, and past member of the Elko Rotary Club. Dr. Perchetti is an avid hunter, fisherman, and guide. His hobbies include wildlife photography, hiking, and horseback riding. Other businesses include ranching, raising Quarter Horses, and Beef Cattle. Dr. Perchetti is an active member of NBU, EBU, and The Wild Sheep Foundation. For the last 18 years, Mike has been actively involved with Elko Bighorns Unlimited and is currently the President. This is a 100% volunteer sportsman group dedicated to the conservation of Nevada Wildlife. He volunteers many hours participating in Bighorn Sheep captures and disease surveillance. He traveled to Alberta Canada to assist the Nevada Department of Wildlife in the capture and transplant of Rocky Mountain Bighorn Sheep into the Rocky Mountains and East Humboldt Mountains. Dr. Perchetti has one son and two daughters. All of them enjoy spending time in the outdoors with their dad on the ranch. Both daughters are accomplished in gymnastics and running. Mikkala, his oldest daughter, was a state champion and made 1st team in all-state as a freshman at Spring Creek High School. Colton is a student at Great Basin Community College. Mike's wife Tina is a co-owner, broker, and agent for L/P Insurance. She enjoys running marathons and hunting and fishing with her family. Dr. Tessa Sustacha is a Nevada native. She grew up in the Elko area. Growing up she was involved in 4-H and the FFA programs for many years. Dr. Sustacha has always had a passion for helping animals and their people. That passion was cemented into the desire to become a veterinarian after working at Elko Veterinary Clinic while in high school. After high school, she attended the University of Nevada Reno and received her B.S. in Animal Science in 2010, and her DVM and Washington State University College of Veterinary Medicine in 2015. Her current interests include emergency medicine, rehabilitation and palliative care, large animal and equine medicine. ​​​​​​​Dr. Sustacha lives in Lamoille with her wonderful husband Craig and their many creatures. In her spare time, Dr. Sustacha enjoys crafting, traveling, hiking, enjoying the great outdoors. 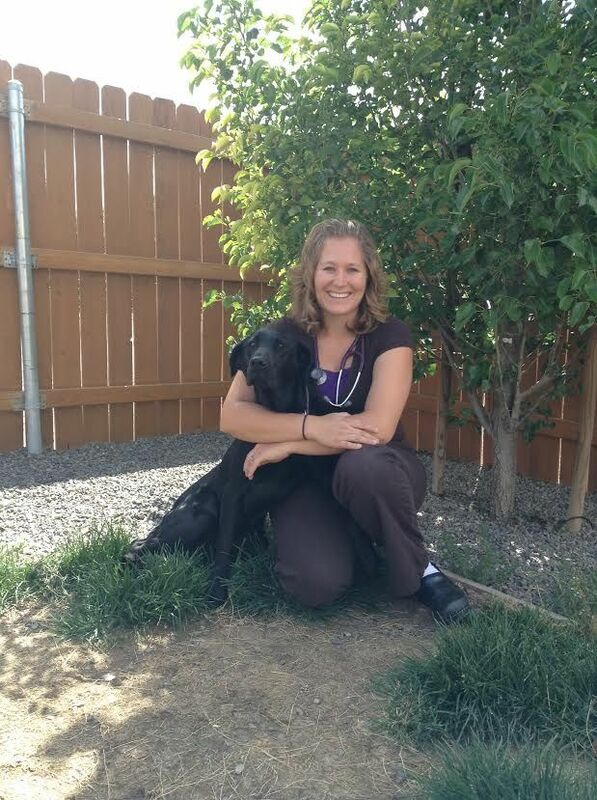 She is very excited to be apart of the team at Elko Veterinary Clinic. Dr. Warner graduated from Washington State University Veterinary Medical School in 1997 4th in his class. He is originally from Boise, Idaho and grew up with a Brittany Spaniel and Yellow Labrador Retriever. Dr. Warner spent the last 4 years working in Alaska before moving to Elko. He is glad to be back in the lower 48 where he can explore more of the outdoors and be closer to family in Idaho. His interests lie in small animal medicine and surgery. He is proficient in laparoscopic surgery, arthroscopy, fracture repair, cranial cruciate ligament repair (using TPLO method), regenerative medicine, abdominal ultrasound, and echocardiography. Outside of work, he enjoys being active with hiking, working out, golf, mountain biking, and basketball. He lives with his girlfriend and they share two dogs.